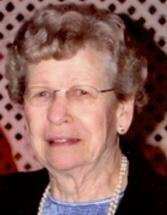 CEDAR FALLS - Evelyn J. Beaton, 92, of the Denver Sunset Home, Denver, formerly of Cedar Falls, died at the home Thursday, April 29, of natural causes. She was born Nov. 25, 1917, in Freeborn, Minn., daughter of Samuel and Maybelle Hober Hinkley. She married Hillard C. Beaton on May 23, 1936, in Waterloo. He died Sept. 3, 2000. Mrs. Beaton assisted her husband in founding of Waterloo Glass Co. in 1943 and served as the company's bookkeeper until its sale in 1974. Survived by: three sons, Charles (Nancy) of Villages, Fla., Larry (Jean) of Waterloo and Rex of Lewisville, Texas; five grandchildren, Rick (Tonya) Beaton, Cindy (Joe) Welsh, Scott (Barb) Beaton, Wendy (Rob) Rejman and Heather Beaton; and nine great-grandchildren. Preceded in death by: her parents; a brother, Roy Hinkley; a sister, Irene Entwisle; and an infant great-granddaughter, Makenzie Beaton. Memorial services: 11 a.m. Saturday at Kearns, Huisman-Schumacher Chapel on Kimball, with a private family inurnment in Garden of Memories Cemetery. The family will receive friends for an hour before services at the funeral home. Memorials: may be directed to Cedar Valley Hospice, P.O. Box 2880, Waterloo 50704-2880. Evelyn loved life, nature, family, enjoyed gardening with flowers in her yard while wearing her familiar garden hat. She liked spending time at their cabin on the Mississippi in Lansing, and wintered for 17 years on the ocean at Port Aransas, Texas. Thank you to Denver Sunset Home and Cedar Valley Hospice for their excellent care.